Meet & Greet with John Crews! 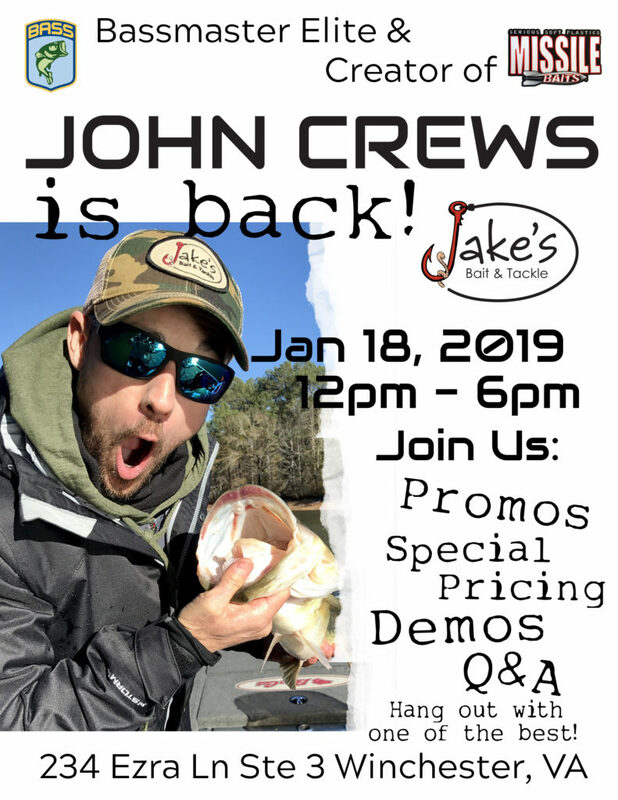 Join us as we have an amazing opportunity to hang out with Bassmaster Elite and Creator/Founder of Missile Baits, John Crews! We will have special promotions, demos, and he will answer your questions in an informal setting.